Zeruwa Nigerian Movie from the stable of Pressing Forward Production, is showing on NMN! 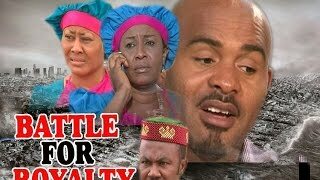 The traditional drama stars Clems Ohameze, Ngozi Ezeonu, Queen Nwokoye, Harry B Anyanwu, T.T Temple, Chima Onyeneke, Simon Peters, among others. STORYLINE: After the mysterious death of her father, ZERUWA (Queen Nwokoye) Decides to fill in her father's shoes by accepting to contest in the forthcoming Councillor Elections which her father was elected candidate cause of his goodwill, but then her uncle also wants the post for himself... The battle line is drawn, find out what happens in this Comic,Emotional, Heartbreaking Movie. Endeavor to share your thoughts after watching this handpicked movie on Nigeria Movie Network.